mama elephant | design blog: September Anniversary Stamp Previews - Day 2! September Anniversary Stamp Previews - Day 2! Hi, welcome back to Day 2 of Stamp Previews! Let's get right into it because I'm sure you're as anxious as I am! Let's start with Little Reindeer Agenda! Squeeeeeeeal! How cute are these little guys?! They are sized just like the rest of our Little Agenda line - itty bitty, bite sized cuteness! 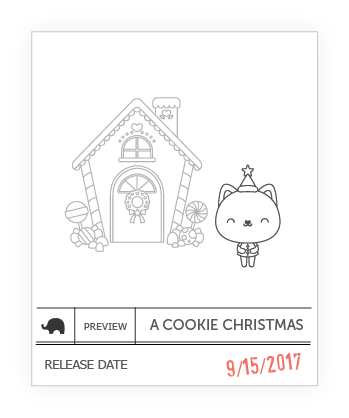 We thought about holding back Little Santa Agenda for a separate release, but nehhh, let's bring them all out at once so the Santas and reindeers can really get festive together! They do go hand in hand, don't they?! Sentiments set are aplenty, so we created something just a little different so you can add that extra pop of color to your projects. 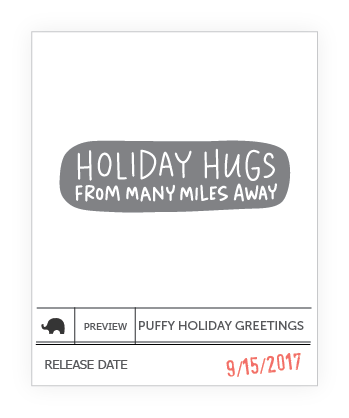 Stamp these fun, puffy greetings from Puffy Holiday Greetings with color and you've endless fun possibilities! SO, what has caught your eye today? Sound off below! Thanks for coming by today! XO! Can't wait for this release! Love, love, love! Squeal! Little Santas and reindeer! I'm super thrilled about the gingerbread bread house with Luli!! Need the Santa Agenda for sure! aaaaah so much adorable goodness!!! Can't wait! I am SO excited for this release! Can't bear the cuteness!! Can't wait for the Santa and Reindeer Agenda!!!! I am in love with the little Santas!! 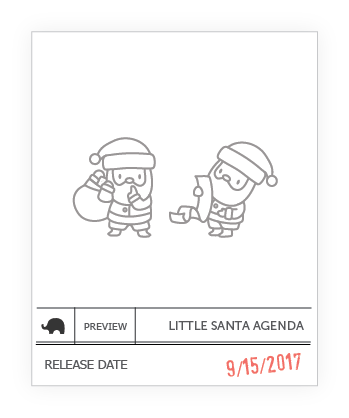 The new little agenda characters are over the cuteness!! But I also really like the new Luli Bunny with the gingerbread house, so adorable as well!! Can't wait to see the whole sets for the Santas and reindeer. These are so cute. Can't wait to mix them with my other Agenda sets. Ooohhh....I'm a sucker for anything 'agenda'! MUST have Little Reindeer & Little Santa - squeeeeeeeal for sure!! I'm on a mission to collect ALL Little _____ Agenda sets! Love this release! The Reindeer and Santa Agendas are going to be so fun to create with on a card together! The Litte Reindeer and Santas are just too adorable!! Gotta have those Santa and Reindeer Agendas!